Africa got talent. 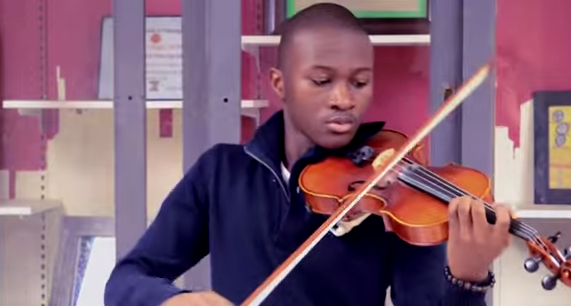 If you do not think so, just check out this Togolese young violinist based in the U.S.A. His name is Emmanuel Houndo and he just dropped a perfect violin-tuned rendition of Katy Perry's new track "Dark Horse". Thousands of users check out Houndo's Youtube Channel for beautiful musical pieces including violin versions of Drunk in Love by Beyonce and Treasure by Bruno Mars. Check out Houndo's rendition of "Dark Horse" here and download for free!